February is Youth Art Month, which means the spotlight is on childhood creativity! 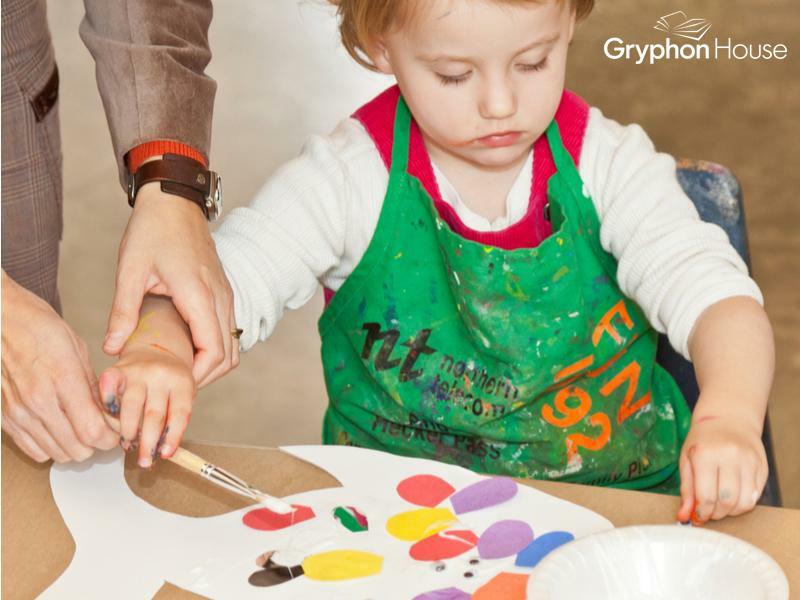 Art is a fantastic way for children to explore and express themselves. Given the many forms art can take, every child is sure to find a medium of art they enjoy. Classroom art centers encourage children to explore the many different ways one can make art. Of course, all those art materials can get expensive. What if a classroom has a tighter budget than the average art studio? Thankfully, Thrifty Teacher’s Guide to Creative Learning Centers can help! In this book, Shelley Nicholson and Jessica Martinez share innovative and creative ways teachers can save money when setting up learning centers for their classrooms. Here are just a few tips on how to make a creative art space without breaking the bank. Paper: Paper is arguably the most important material in all of art. Whether you enjoy painting, drawing, or stamping, you must have a surface to mark. Keeping an art center supplied with fresh white sheets of paper can quickly become costly. However, including things like old newspaper, graph paper, manila folders, flat pieces of cardboard, or old book pages provides children with more opportunities to be creative while cutting costs for you! The different materials can produce different results when drawn on, making the art station an exciting experiment in textures. Meanwhile, old pieces of junk paper are finding new life in children’s hands. It’s a win-win. Painting Utensils: Paint brushes are another item that can be costly to replace, especially with how easily it is for dried paint to ruin the bristles. Simple household can provide a variety of patterns and shapes for painting while being more easily replaceable than traditional brushes. The bottom of old soda bottles can be dipped in paint to create flower designs; cotton balls can provide an easy, disposable means of spreading paint on paper; and even natural items like feathers or the clippings of a fern can mimic the effects of a paint brush. One need only experiment to find new replacements for brushes. Crayons: Every preschool teacher knows about the many stubby crayons that get thrown out every year. However, just because these crayons are too small to grip doesn’t mean they’ve worn out their usefulness. A simple trick is to melt down crayon stubs of the same color and pour them into new molds, like ice cube trays or candy molds. The steps are simple: Fill a pot with 3 inches of water and place it on the stove; unwrap various crayon stubs and place them in aluminum cans according to color; when the water in the pot begins to simmer, add the crayon-filled cans and stir them as they melt; once melted, pour the wax into new molds and let cool. Once their cool, you have a brand new set of crayons! Playdough Tools: Playdough and clay are great sensory tools as well as art mediums. Children love to explore and manipulate different textures and shapes of dough. Rather than spend money on name-brand Playdough tools, bring in different items from home that can be fun to play with. Toy animals can make footprints in the dough while potato mashers and whisks can leave interesting impressions on it. Even materials as simple as craft sticks and scissors are enough to turn clay sculpting into a fun experiment of textures. The possibilities are endless with what you can use to play with dough.